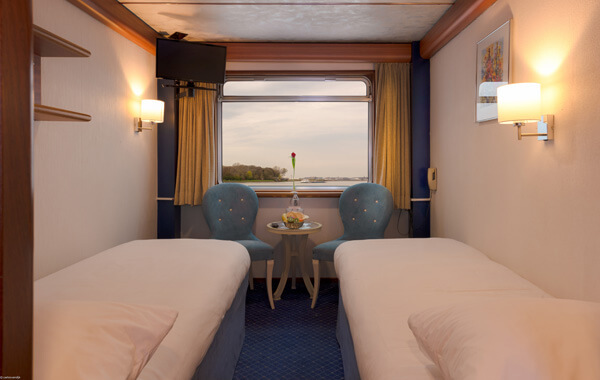 The comfortable and comfortable cabins (12 m²) have two lower beds. The suites (24 m²) are equipped with two beds side by side and minibar. All cabins have shower and toilet, TV, centrally controlled ventilation, telephone and hair dryer. On the upper deck, all cabins have large, tiltable panoramic windows. 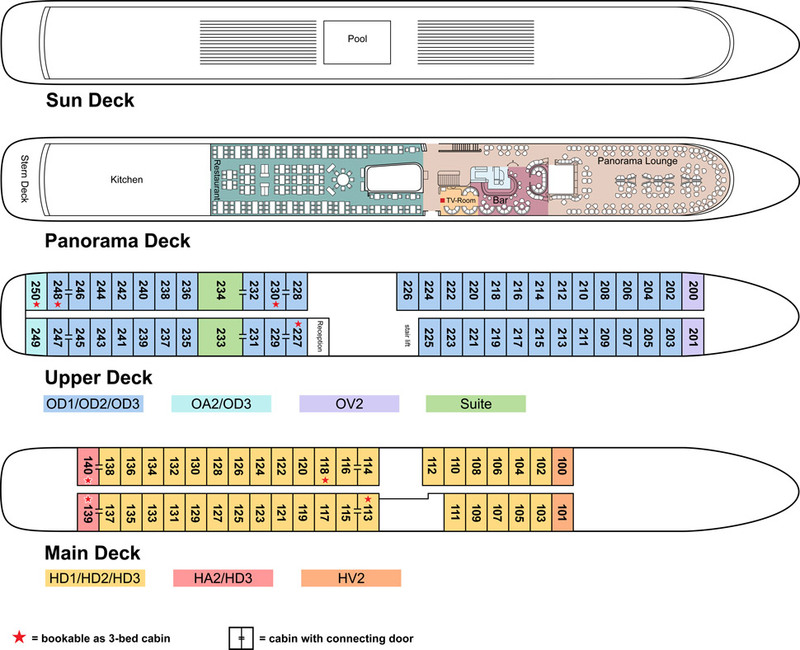 On the main deck, the two smaller windows can not be opened. 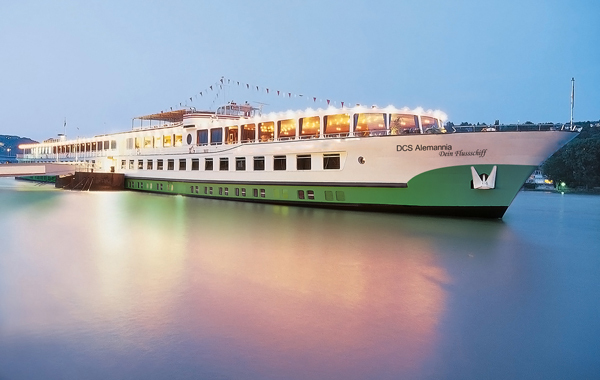 On the Mosel and Rhine deck, 2-bed cabins can be used partly as a 3-bed cabin on request. Some cabins have an optional connecting door and can therefore be used as family cabins. events and on-board program eg. Eg pirate evening, crewshow, quiz etc.